Tuberculosis continues to be a significant public health concern in Canada's North, where testing for TB takes far longer than in the country's major centres. 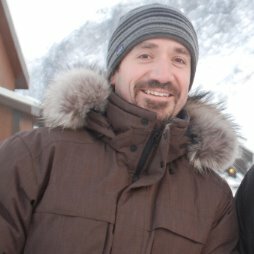 A paper just published by Iqaluit, Ottawa and Montreal researchers, in CHEST Journal, shows that the time it takes to diagnose and begin treating this infectious disease in Nunavut can be dramatically reduced by using a new technology — right in Iqaluit — that quickly provides accurate results. The study showed that operating a DNA testing unit, called GeneXpert (Cepheid Inc.), in Iqaluit's hospital significantly sped up diagnosis of TB, especially for those with low levels of the bacteria in their sputum. As a result, the average time to start treatment was reduced to 1.8 days, as opposed to 7.7 days for patients with high levels of TB bacteria and 37 days for those with low levels of the bacteria. Based on the study's results, the Government of Nunavut has just announced funding in its 2015–2016 budget that will keep the GeneXpert operating in the territory's capital. "These findings represent a significant improvement in the quality of care clinicians can provide in managing this persistent and devastating disease in Canada's North — for individual patients and for the community," said Dr. Gonzalo Alvarez, a scientist and respirologist at The Ottawa Hospital and an associate professor at the University of Ottawa. "We are very pleased to see that the Government of Nunavut has made GeneXpert a part of its program to fight TB." The incidence of active tuberculosis in Nunavut remains the highest in Canada. In 2014, there were 83 residents of Nunavut treated for active TB, an infection rate 49 times the Canadian average. Despite the high rate, there is no TB laboratory capacity in Nunavut. Samples are sent to Ottawa for testing. The quick test results from GeneXpert also mean that people can be quickly cleared of the disease in order to travel on a commercial airline, be released from hospital, return to work, or go to work at a camp or on a ship. Working in partnership with the Government of Nunavut and Nunavut Tunngavik Inc., and with funding from the Canadian Institutes of Health Research, Drs. Gonzalo Alvarez and Madhukar Pai, an associate professor at McGill University and researcher at the Research Institute of the McGill University Health Centre, implemented the GeneXpert TB testing unit in Iqaluit, Nunavut, as part of a pragmatic research study that started in 2012. GeneXpert is a desktop lab-in-a-box that identifies the presence of the TB bacteria's genetic code. The technology has been successfully used in countries with a high burden of the disease and minimal resources. Drs. Alvarez and Pai wanted to see whether GeneXpert could provide accurate results in the real-world situation of Canada's North as a way to reduce the wait times before starting treatment and, importantly, to minimize continued spread of the disease. To do this, they designed a study that would test the technology in action, in which the GeneXpert unit was operated as part of the community's hospital laboratory. In cases of suspected TB, they used the GeneXpert test and also sent sputum samples to an Ottawa lab for testing — the current practice. The lab in Ottawa performed two tests: a smear test and a culture test. When there is a lot of tuberculosis in the sample, the smear test generally catches the disease. If there isn't, then it is diagnosed by culturing the sample, which takes longer but is the gold standard. To look at it from the patient perspective, it would mean going to the clinic suffering from a chronic cough, fever and some mild weight loss. If TB was suspected, the patient gives a sample and the next day the GeneXpert result shows the presence of active TB. After giving the sample, the patient starts intensive TB treatment 1.8 days later. Then, 7.7 days after that first visit, the smear test results come back negative from Ottawa – no active TB found. At around day 21, the patient's cough subsides; the person is gaining weight and no longer has a fever. More than two weeks later (day 37), the culture test comes back positive from Ottawa. Without the GeneXpert test, this is when treatment would have started. According to public health officials in Nunavut, two-thirds of all TB cases between 1999 and 2011 were only confirmed by the culture test, like the person in the example above. The paper titled "The feasibility, accuracy and impact of Xpert MTB.RIF testing in a remote Aboriginal community in Canada" was published early online on March 19, 2015, by CHEST Journal. It was funded by the Canadian Institutes of Health Research. The Government of Nunavut purchased the GeneXpert unit and provided in-kind support to house and operate it. Co-authors: Deborah D. Van Dyk, Marc Desjardins, Abdool S. Yasseen, Shawn D. Aaron, D. William Cameron, Natan Obed, Maureen Baikie, Smita Pakhale, Claudia M .Denkinger, Hojoon Sohn. —Cathy Towtongie, President, Nunavut Tunngavik Inc.